Hybrid forms of fiber art are among my favorites in the contemporary art world. 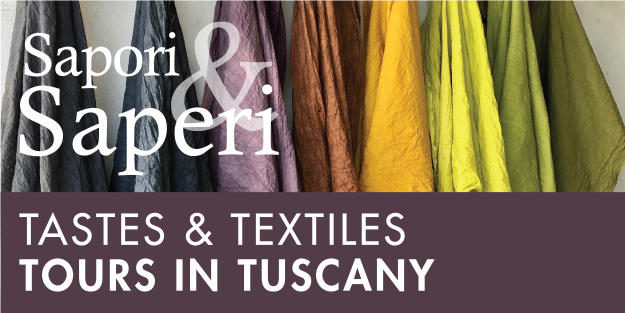 This issue reveals enticing tactile intersections of wax and fiber, from encaustic wall works and batik textile design to installation art and sculpture. To warm up my editorial research, I attended the 8th International Encaustic Conference in Provincetown, Massachusetts, in June of 2014. This annual gathering of artists working with wax-based materials and techniques introduced me to an impressive group of encaustic practitioners. Cover artist and educator Susan Stover enlightens us with beautiful imagery and insights on how traveling to Indonesia to learn batik traditions has expanded her creative horizons. Conference founder and artist Joanne Mattera shares the work of several others who challenge preconceived notions of gender and spirituality. Gallery owner and artist Miles Conrad introduces others who create transcendent sculptural pieces. Artist and author Nancy Natale waxes philosophical about the visceral nature of Susan Lasch Krevitt’s artistic practice. This issue also introduces new department articles, including: On Display for previews of fiber-art shows to see this winter; In the Studio with encaustic artist Lorraine Glessner; and Restoration, celebrating the rescue of a treasured Lenore Tawney public art installation. For a glimpse of textile art from the next generation, meet the winners of our 2015 SDA Creative Promise Awards for Student Excellence and Emerging Voices recent graduate Joy Dilworth. To read a sample of this issue, visit the Journal homepage. To purchase this issue, visit SDA Marketplace (online). 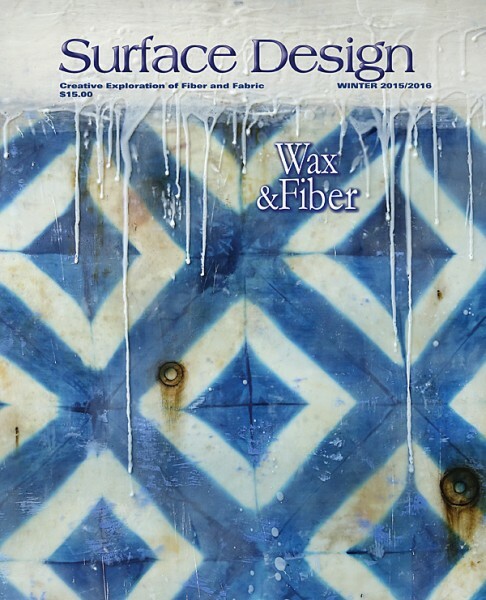 To subscribe to Surface Design Journal, join SDA today! Now in print and digital formats, SDA Journal is one of many outstanding benefits you will receive with membership in our international textile-arts-inspired community. “The Body Embellished” – Out Now!